Compulsive Cravings is the name of a great shop on Colonial Avenue. It's a former house with lots of rooms. I almost got lost on the first floor and then I was told there are FIVE more rooms full of items upstairs! I will definitely have to return when I have a larger block of free time available to me, because there is SO much to see here. Of course, being the fan of nautical decor that I am, I made sure to browse carefully through that particular room. 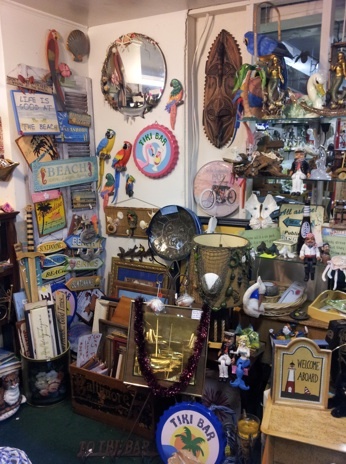 You'll find an exciting array of everything imaginable. I even found an orange plastic frosty mug so now I have a complete set of all the different colors! They also have a really cool display of wedding books, picture frames and other related items. Drop by this shop soon! Just make sure you allow yourself plenty of time to see all the great items they have for sale. Trust me, there's a LOT to see here.